As a native Seattleite, I’ve been blessed my entire life with our four seasons, umpteen varieties of rain, and countless beautiful days (no matter what kind of weather we’re having). Recently someone asked me about a particular bit of weather lore, and this led me on a quest to find out more not just about our weather, but about our particular ecosystem here in the Pacific Northwest. Here are some of my finds. We have an amazing variety of trees here in Seattle; look around, especially in the fall or spring when trees are in leaf or showing off their branches. Jacobson’s book (in two editions) provides an excellent field guide to trees all around the city, with notable examples given special mention. The tale begins in WWII era Seattle. Our city was host to 200 Italian prisoners of war and a number of African-American servicemen in transit, at Fort Lawton on Magnolia Bluff. The Italians were treated more hospitably than the African-Americans — and tension rose. In one dramatic night of violence, one of the POWs was killed, and found hanging the next morning. The ensuing trial (prosecuted by, among others, Leon Jaworski, later of Watergate fame) focused exclusively on the African-American soldiers, who were given various sentences, the lightest of which involved dishonorable discharge. Many years later, local author and television reporter/producer Jack Hamann became intrigued by a chance comment. It led to a find in Discovery Park (which was originally the site of Fort Lawton): The 1944 headstone of the murdered Italian. 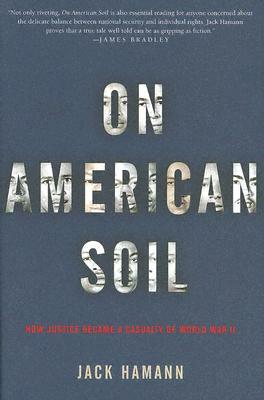 He began looking into the story (doing some of his research at the Central Library), eventually making a documentary for KING TV that questioned the guilt and the convictions of the African American soldiers. The film gained much attention, but was based only on secondary evidence, much as the original trial was. The honor of being Seattle’s oldest house officially belongs to The Ward House at 1423 Boren. But there have been and are other contenders. 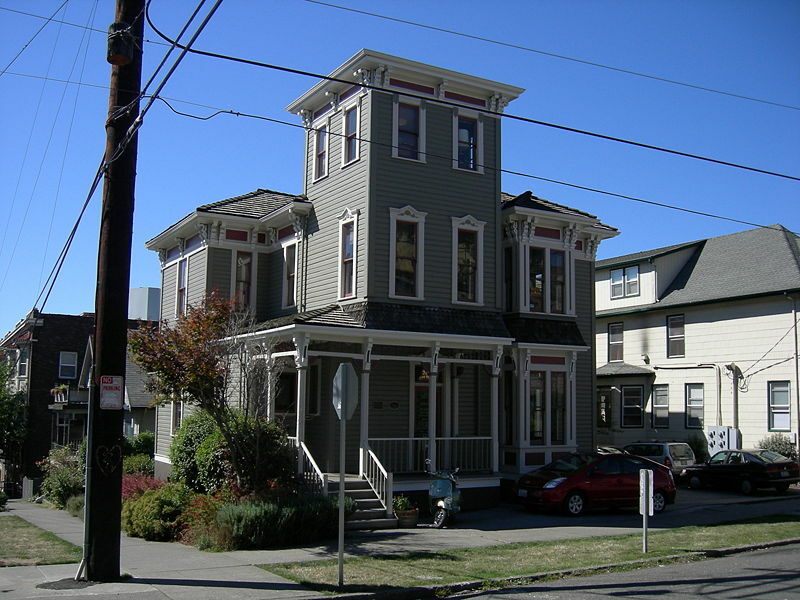 In May 1985, The Weekly concluded that the Ward House at 1423 Boren built in 1882 by pioneer entrepreneur George W. Ward was Seattle’s oldest surviving residential structure. The structure had stood vacant since 1974 and was slated for demolition at its existing site. Historic Seattle acquired the Ward house by donation from Dr. and Mrs. Michael Buckley. On April 6, 1986, David Leen and Bradford Moore, working with Historic Seattle, relocated the structure to the corner of East Denny Way and Belmont Avenue. The Seattle Public Library has a large and varied collection of books about architecture and city planning. Here are a few that I find interesting and useful. I hope you enjoy them too. Jane Jacobs’ classic ground-breaking attack on the planning of American cities, published in 1961, is still widely read, and has great relevance for us today. What, she asked, makes cities and city neighborhoods work, and what makes them die? What can planners do to save our great cities? She presented what were at that time completely new principles of city planning, including dense population and diversity of uses, principles which are coming into favor today. She writes with passion as a city dweller; this is an exciting book.